What Are the Benefits of Green Vibrance? Green Vibrance is a dietary supplement with organic fruit and vegetable concentrates, probiotics, enzymes and herb extracts. You can use Green Vibrance 15-Day or 30-Day tablets or single-serve packets as way to boost your vitamin and mineral intake, or have a Green Vibrance Meal Bar as a quick snack or meal. Although Green Vibrance may provide some benefits, be sure to consult your doctor before taking the supplement. Green Vibrance provides essential nutrients in forms that are easy for your body to absorb. The Green Vibrance tablets have 43 percent of the daily value for vitamin A and 85 percent of the daily value for vitamin C -- an antioxidant vitamin that you need for wound healing and strong joints. Calcium is necessary for strong mineral in your bones and inadequate calcium intake leads to osteoporosis and the risk of fractures. Green Vibrance tablets provide 12 percent of the daily value for calcium, and they also provide 250 percent of the daily value for vitamin D, which helps your body absorb calcium from your diet. The tablets are also high in iron and vitamin B-12. Green Vibrance products are high in dietary fiber, with each two-tablet serving providing 3.2 g, or 13 percent of the daily value for fiber. According to the Mayo Clinic, getting enough dietary fiber may have a laxative effect and reduce constipation. Dietary fiber comes from the parts of plant foods that your body cannot digest, and ingredients that provide dietary fiber include fructo-oligosaccharides, brown rice bran, organic whole apple fiber and milled flaxseed concentrate. Probiotics are healthy bacteria that can live in your intestine and reduce diarrhea or irritable bowel syndrome symptoms. The probiotics in Green Vibrance include common healthy strains of Lactobacillus, Bifidobacterium and Streptoccocus. The Food and Drug Administration has not evaluated any health claims of Green Vibrance, so only take the supplement if your doctor consents. Green Vibrance may have benefits for your immune system and heart. Probiotics may support a healthy immune system if you have gone through treatment with antibiotics, since antibiotics kill the healthy flora, or probiotics in addition to the harmful bacteria in your digestive system, according to the September-October 2006 issue of the "Canadian Journal of Infectious Diseases and Medical Microbiology." Taking probiotics from foods such as yogurt or miso, or from supplements such as Green Vibrance, may also reduce your risk of urinary tract or yeast infections. 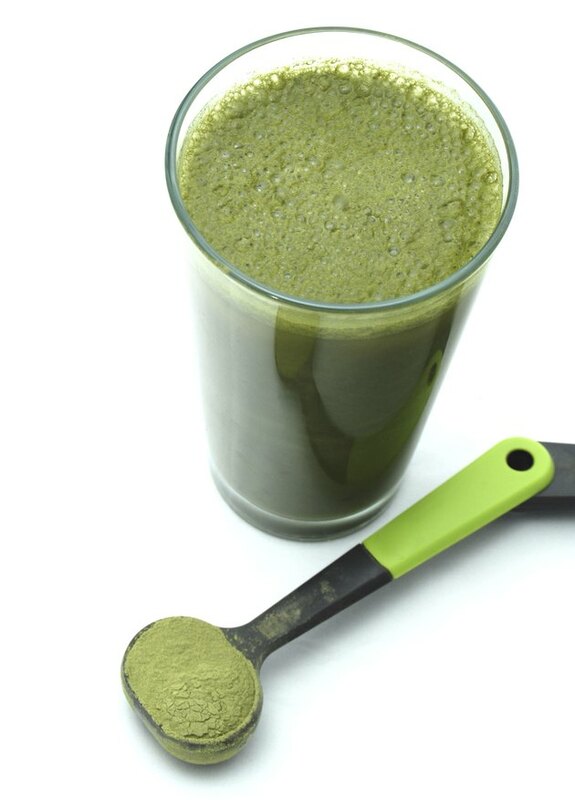 Green Vibrance contains essential immune system nutrients including vitamin E, vitamin C, vitamin A and iron. The supplement is rich in antioxidants, which may protect your cells against damage from chemicals called free radicals. This may lower your risk for chronic conditions such as heart disease. Sources of antioxidants in Green Vibrance include grape seed extract, green tea extract, vitamin E and pomegranate extract. Remember to consult your doctor before taking any dietary supplement.